This is the third chance we’ve gotten to spend time behind the wheel of a Smart vehicle. The first time, Andy reviewed a gas-powered 2011 ForTwo Passion Coupe. 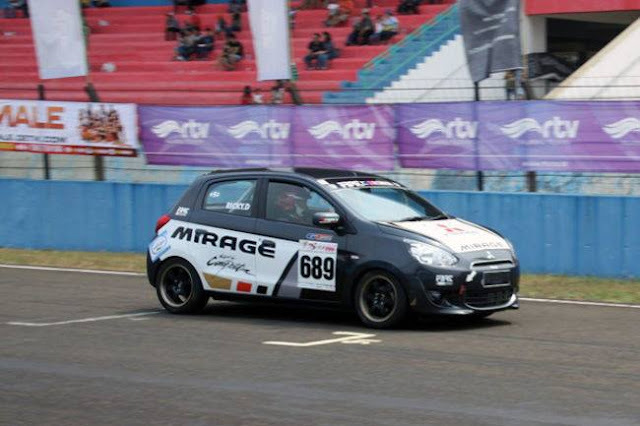 The car had a go-kart-like ride, a minuscule turning radius, tight and precise steering, and worked great in the city. And while it could keep up with traffic on the highway, city navigation was its forte. 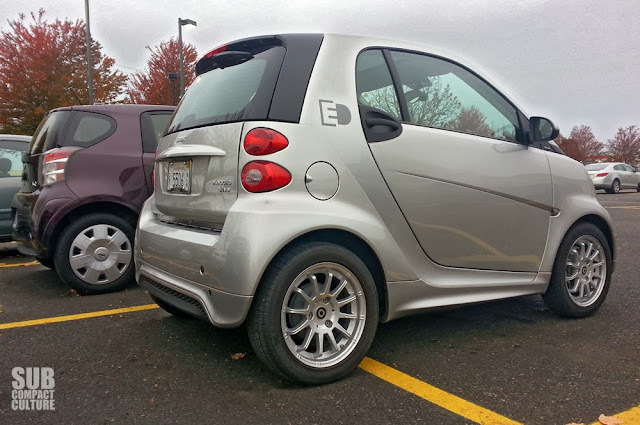 The Smart ForTwo laughed at even the smallest of sedans trying to wedge themselves into parking stalls downtown or on Portland's inner East Side. Indeed, this vehicle must've been created by the Parking Gods. We did, however, think the interior materials, build quality, and herky-jerky transmission left a lot to be desired. 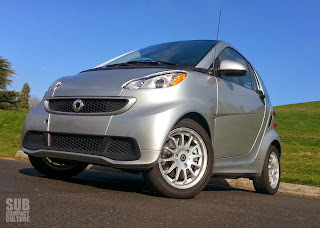 The second time we met a Smart, albeit briefly, I attended the launch of the 2013 Smart ForTwo Electric Drive in our beloved tree-hugging, electric-car-crazy hometown of Portland, OR. I only had a small bit of seat time with the vehicle, but felt that its electric motor, which is located between the rear wheels (and is a joint venture between Bosch and Daimler) had enough power to tackle a steep 7% grade and keep up with traffic. In its “kickdown mode” this car could generate two minutes of 55 kilowatt power, going from 0-60 mph in less than 12 seconds. And, along with its petite five-foot wide, five-foot high, and under-nine-foot-long size, this microcar felt like it had a lot going for it—more so than its gas-powered sibling—especially in the fun-t-drive department. That electric motor was peppy! Plus, being electric, there was no more terrible transmission. I learned this mini-mobile had 79 miles of range in the city, 59 highway, and 68 combined with an eMPG rating of 122 city, 93 highway, and 68 combined. Pretty impressive, considering it was estimated that it would cost about $1.00–$1.20 a day to charge the vehicle. Paying on average only a few hundred dollars a year to keep its wheels running isn’t too shabby. For '13, the vehicle is available in CA, CT, MA, MD, ME, NJ, NY, OR, and RI. However, the company says it should be charging up everywhere for 2014. The third time we met was just a short time ago, and I spent an entire week with the Smart Electric Drive. Would I have a different opinion of this all-electric runabout compared to my initial 15 minutes of seat time at the launch? Would I like it just as much or more than I did a few months ago during the Portland media launch? Well, the short answer is yes and no. Of course, one of the obvious reasons anyone buys a Smart is the size. Blink and you miss it. But look and you may want one. 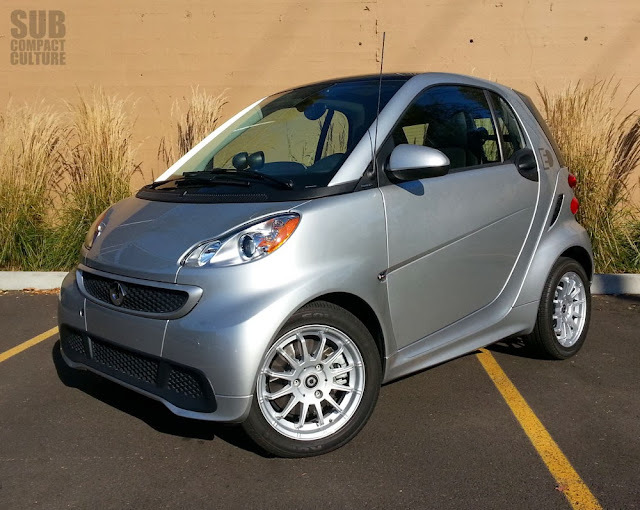 I thought this Smart looked attractive in its all-sliver motif, complete with electric plug logo on the side. The Smart EV has the same Tridion safety cell as all other Smart models. 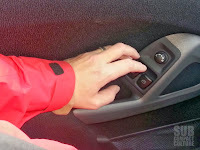 It has a ton of safety features too in which most, if not all, are the same as the other Smarts. Multiple air bags, stability control, EBD, ABS, ESP, and all those other keep-you-safe acronyms. This EV has a great fat, chunky steering wheel, firm seats, and an easy-to-read compact gauge cluster (both digital and analog) along with two center-mounted gauge pods displaying range and power usage. Our test model had a clear plastic panoramic roof that housed a retractable sun shade, creating an airy cabin feel. I liked its simplicity and its maneuverability. Like the gas versions, the steering was tight and it could easily dart in and out of traffic. And yes, that terrible transmission is gone. This is an EV, so there’s only one speed, and there’s plenty of torque down low. Sprints from 0-40 were pretty quick, although the car feels pokey from 40 to 60 mph and above. It will cruise at 60 on the highway, though it feels nervous and twitchy and is easily upset by crosswinds. By the way, floor it from a stop, and the car squats down; this can be exaggerated in city driving, where it tends to rock back and forth as you're on and off the throttle. Like the earlier ’11 model we reviewed, the ’13 Smart EV’s interior felt a bit cheap and plasticy. The control knobs and gauges felt flimsy and made me worry about their longevity. There were rattles here and there, too. The design aesthetic looks cool, but some elements were a challenge to use. For instance, the interior door handles point downward at a 45-degree angle and are positioned away from you, so they are hard to get at. 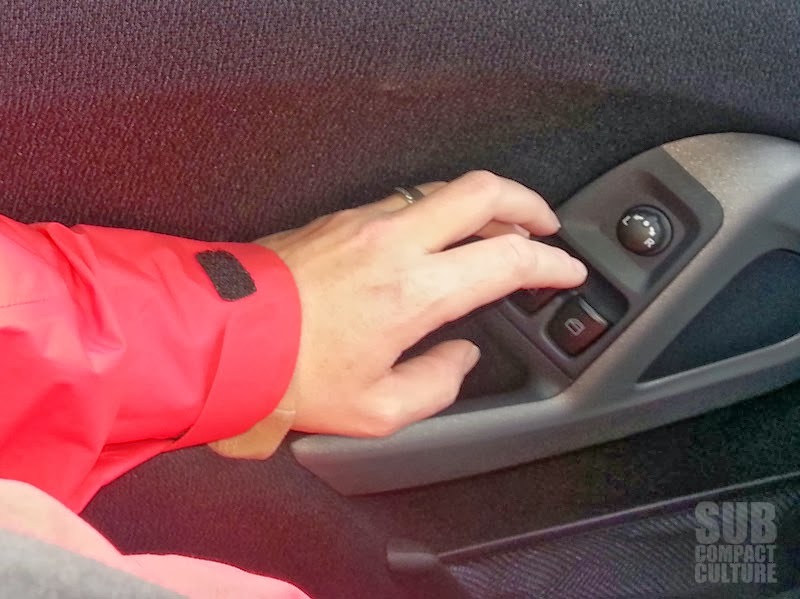 The driver side handle is only a few inches away from the steering wheel, so in order to open your door, one must crank their hand in an awkward position to grab the handle in order to get out of the car. Also, next to the door handle are the controls for the windows. They look fine, but I had trouble using them as you need to jam your elbow back into the seatback and door corner, crank your hand back, and then work the controls. This vehicle also included an infotainment system with a touch-screen navigation system. However, the nav system took a very long time to boot up and was clunky to operate. All of these things might be small details, but after using them time and time again, I felt a bit agitated. The other item that stood out for us was the charging cord. We were warned about the cord length from a few fellow automotive journalists, but we thought to ourselves, “How short can it be?” Well, the first night we pulled out the little yellow spiral charge cord from the rear trunk door we started chuckling. We were prepared to park it on the front lawn overnight (because we’re classy like that) as this cord, albeit it stretching double its length since it’s coiled like a phone cord, was still way shorter than most other EV models we have tested. 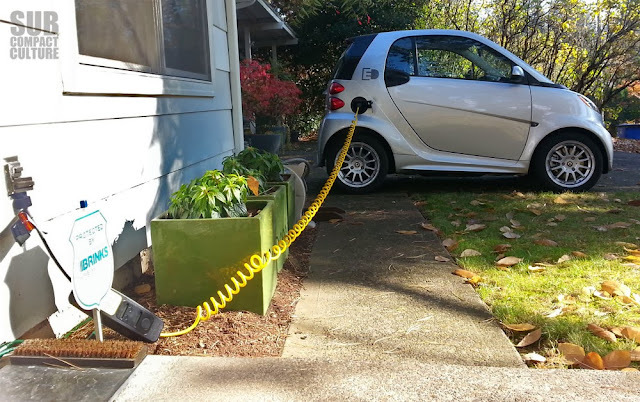 Since the only outlet in the front of our house was next to the front door, we ran the risk of looking like a cross between tree-huggers and rednecks since this A-class EV would be on the front lawn. We didn't have to put it on the grass, but did have to put it on our patio slab. Good thing it actually fit there. The cord is still pretty short. For me, I would say the third time with the Smart is the charm, or at least closer to the charm. 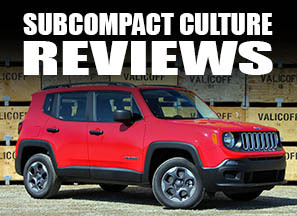 Although there are accoutrements I didn’t like, I think the pros of the size, safety features, and EV factor outweigh the Smart EV’s shortcomings, such as the Spartan interior, difficult-to-use navigation, and iffy ergonomics. Plus, I like it a lot better than the gas versions. Are there enough pros to entice EV or A-class minicar shoppers to buy one? Small car enthusiasts now have a plethora of gasoline, hybrid, or EV models to buy or lease. From the Fiat 500 (or its sister Fiat 500e electric available in CA), Scion iQ, Chevy Spark (or its sister Chevy Spark EV available in OR and CA), or the Mitsubishi MiEV all electric—one has many funky and fun cars to consider. So if you’re interested in the Smart EV, how much would this eco-minded minicar set you back? MSRP is about $28,000 on our tester, however, that’s before a federal tax credit of $7,500 and, depending what state you live in, your state may have incentives on top of that. There is also an option to lease this EV, and the cost is a modest $139 a month for three years, but will set you back over $2,400 for initial lease sign-up. It should be noted that Smart has a plan called Battery Assurance Plus. This allows you to lease, fiance, or purchase the vehicle and rent the battery separately, which will cost you $80 plus tax per month. This means you can get into a Smart Electric Drive for as little as $12,490 after the potential $7,500 tax credit (excludes destination) or $139 per month on a lease with $1,999 down. The 2013 Smart EV is still several thousand bucks more than its gasoline brother, but if I had to choose between the gas or the electric version, I know which one I’d roll: the itsy-bitsy EV runabout. I think it’s a Smart(er) idea. The Smart has seemed to suffer from a cheesy interior since the first model I saw. With the price as high as it is for a small two seater I expect more. But then I don't like the dash in the Mini either.